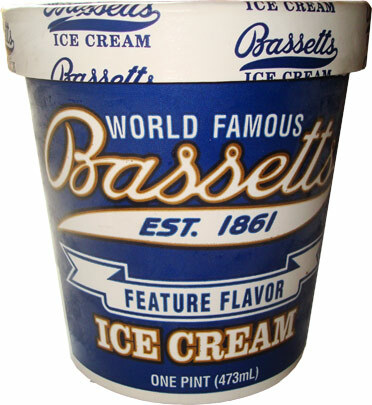 On Second Scoop: Ice Cream Reviews: World Famous Bassett's Ice Cream joins the blog! World Famous Bassett's Ice Cream joins the blog! 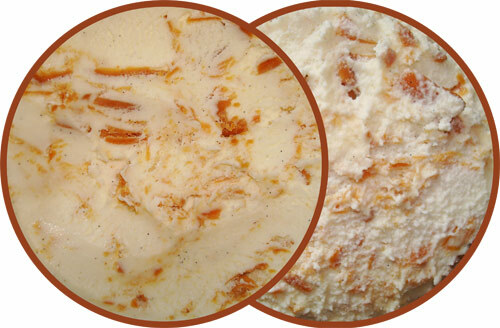 [By Nick] Not too long ago, I was watching the Food Network and the show that was on was featuring Bassett’s Ice Cream. Like any ice cream fanatic, I went to my computer to find more information on the company. Bassett’s is supposedly the oldest ice cream company in the country being founded 1861. Let’s just take a second to think about that. This ice cream company started the first year Abraham Lincoln was our president. That’s just incredible and they’re still run by the same family who started it. That’s five generations of ice cream lovers; if that’s not dedication, I don’t know what is. Bassett’s is a fixture of the Reading Terminal Market in Philly but can be found elsewhere on the east coast. Unfortunately I’m not in those select markets, so I emailed the kind folks over at Bassett’s and they decided to send me over some free samples to try. Now this was originally supposed to be a review of just their Vanilla ice cream because they are extremely proud of their vanilla. Well there must have been some sort of mix up because it wasn’t included in my shipment. Thankfully Bassett’s sent over a couple of slight variations of their vanilla ice cream so I can at least get a general reading of it's flavor. 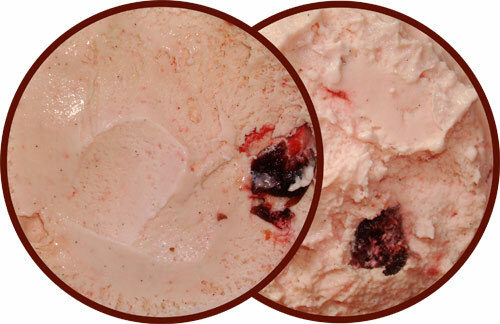 First up is Bassett's Cherry Vanilla ice cream which utilizes their signature vanilla base and throws a ton of black bing cherries into the mix. I can’t quite get a solid read on the vanilla base in this flavor because it’s so infused with the juices from the cherries. I can still taste notes of vanilla bean but its playing second fiddle to the cherry flavor. We all know I’m a cherry fiend and this one definitely hits the spot. The cherries are big, juicy, and a tad bit on the sweeter side. I like my cherries to have more of a tart kick but they work perfectly with the vanilla base. Basic Cherry Vanilla is a flavor I wouldn’t normally pick up on my own but I’m happy Bassett’s decided to send a pint over. It really lets you appreciate how such a simple combination can make for something so delicious. Next up is Bassett's Peanut Butter Swirl ice cream and just like the name implies, it’s their vanilla ice cream with generous amounts of peanut butter swirls. This pint was filled beyond capacity and generous might be to tame of a term to describe the abundance of peanut butter in this pint. I thought I was going to be able to taste the vanilla more in this one but once I removed the lid all hopes were diminished. I mean just look at all that peanut butter. Heck this thing smelt like a jar of peanut butter on steroids. This isn’t some cheap peanut butter that’s been filled with chemicals either. The ingredients list labels just peanuts and salt and that holds true for the taste because the peanut butter is definitely on the salty side. That’s not a bad thing though because that’s how I like my peanut butter. It also worked perfectly with the sweetness of the ice cream to balance things out. Unlike most peanut butter swirls you find in ice cream, these are more pliable. I’m not sure how they achieved that but I’m grateful for it. Actually I wouldn’t even call them peanut butter swirls; they’re more like peanut butter drops disbursed evenly throughout the base. I’ve never seen this done before but it’s pretty ingenious and effective. Verdict? Their well done vanilla makes for a great base for the different mix-ins. Buy Again? Explained in the last paragraph. Nick, sorry they didn't mail you the vanilla but you still made out! Btw, you have to try the HD Cherry Amaretto if you like tart cherries. That ones my new go to for cherry vanilla amazing ness! Danielle, HD Cherry Amaretto has no vanilla in it though=p I'm also hesitant when it comes to alcohol flavors. Anon, I think they must have changed the ingredient list because that's not how it was when I was writing the review. I'll have to get back to you on that one. It's either that or I've completely lost my mind. I forgot to chime in and say I love the look of the vanilla bean flecks in these ice creams. Nice job getting these guys on the blog.